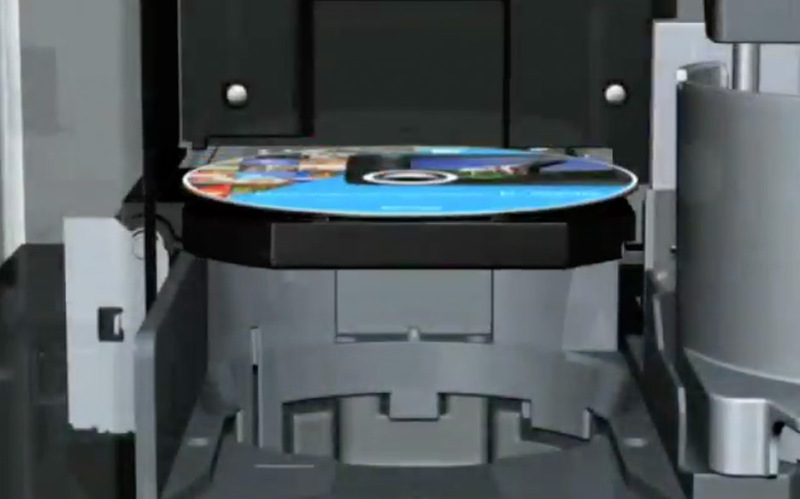 If you need to burn and print an individual disc, you can have it at the touch of a button. What’s more, if you want to print batches, the Discproducer is available in various models, allowing up to 100 discs in one work cycle. They can be used as a printer only or in a network environment, even a security model is available to save confidential data. Replaceable drives and maintenance cartridges expand the life of the whole unit whilst new functions like ‘read back’ and ‘merge print’ allow even more sophisticated applications with the second generation of Discproducers. Our Discproducer is one of the smallest in its class, with a dust protected housing that is less than 40cm wide. It is the only system that offers you the ease of complete operation from the front. If you need to save space, its flat construction means you can stack two systems and even use the top as a storage surface – ideal for media or a laptop. 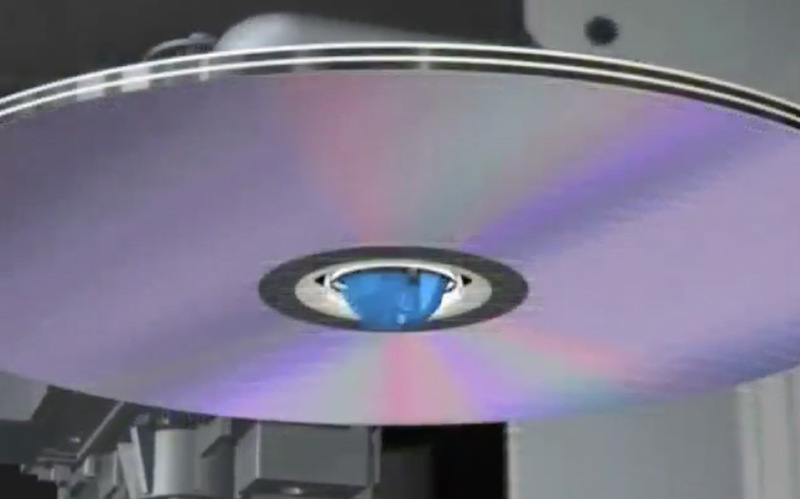 Specially developed for our Discproducer range, the AcuGrip mechanism ensures that the robotic arm reliably grabs only one blank CD, DVD or Blu-ray disc™ – even if they are stuck together. This increases the life of the product and helps protect against unsupervised production runs being interrupted by mechanical blockages. Micro Piezo printheads are at the heart of every Epson inkjet printer. Micro Piezo technology ensures uniform, stable ink droplets with virtually no satellites or misting. That’s why the Discproducer delivers the highest print quality in its class for crisp text and vibrant graphics at up to 1440 × 1440dpi resolution. And its independent, high-capacity ink cartridges make printing extremely cost-effective. 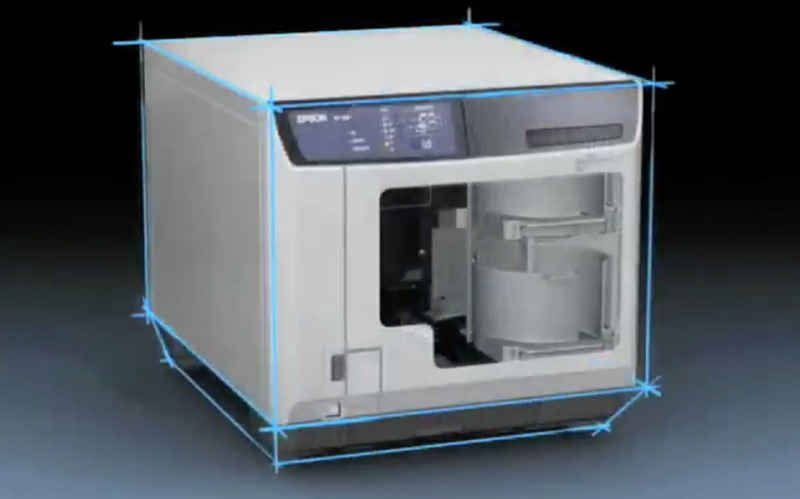 When you choose Epson, you get the world-class service you would expect from a leader. 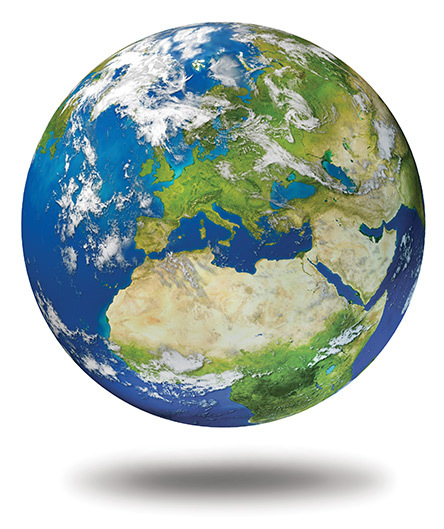 Our CoverPlus Service Program offers cost-effective service options including on-site service that extends your initial warranty coverage across most countries worldwide and for multiple years. We are the only manufacturer in the world to design and develop both precision robotics and advanced printing solutions. Our Discproducer is a perfect example, with its compact design, dust-proof body and minimal moving parts it delivers precision performance and excellent reliability. Within the last 5 years, Epson has become the market leader in many segments where optical media is required on demand. More than 50 percent of all hospitals1 in Europe which install CD/DVD publishers for patient CDs or archiving of patient data, select Epson because of its reliability and ease-of-use, even in harsh environments. All Discproducer models come with the software and tools you need to burn and print discs. 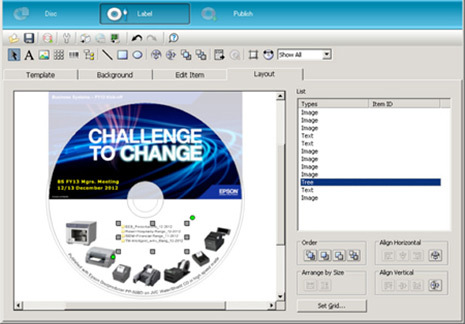 Total Disc Maker includes disc editing, label editing and publishing functions. Simply select the media format, then drag, drop and burn. Use your own design or one of the pre-defined templates and images provided. The preview display allows you to check your composition and save your work for easy retrieval. The software leads you through the process of setting up parameters for the number of discs, burning and print speeds, input and output tray selection and print resolution. Then click ‘Publish’ to start production. 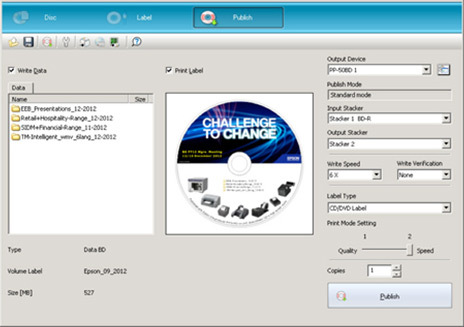 Epson’s Total Disc Monitor software keeps you informed on the state of important functions as well as any current and pending jobs. Total Disc Maker is also available for Mac OS-X which supports the PP-50, PP-100, PP-100II and the PP-100AP. 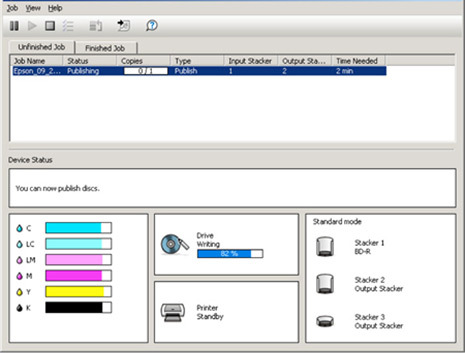 to implement Discproducers into other applications, can be downloaded after registration on a dedicated Epson server. To get the best publishing results, Epson offers the famous JVC/Taiyo Yuden WaterShield media together with one set of ink cartridges or as a set of 300 media. These are the only media in the industry that confirm a data reliability of over 100 years (CD) or 50 years (DVD) in addition to the high-quality glossy and water resistant finish of the printed surface. For high data volume archiving needs on Blu-ray discs™, the Panasonic Blu-ray disc™ are the preferred choice with state-of-the-art accuracy of the data for up to 50 years. DO YOU HAVE FURTHER REQUIREMENTS?